NASA's Juno spacecraft has captured stunning images of two powerful storms in Jupiter. On the official Twitter page of the Juno mission, NASA released a captivating photo of two powerful storms that formed near Jupiter's famous Red Spot. NASA's Juno spacecraft took the images of the storms and the planet's mesmerizing colorful clouds during a late December flyby of Jupiter. The space agency only released the images last week. The NASA spacecraft was apparently 23,800 to 34,500 miles above the top of Jupiter's clouds when they captured the images of the storms that brewed in the planet's southern hemisphere, according to Juno mission website. Check out Juno's photo of Jupiter's storms below. 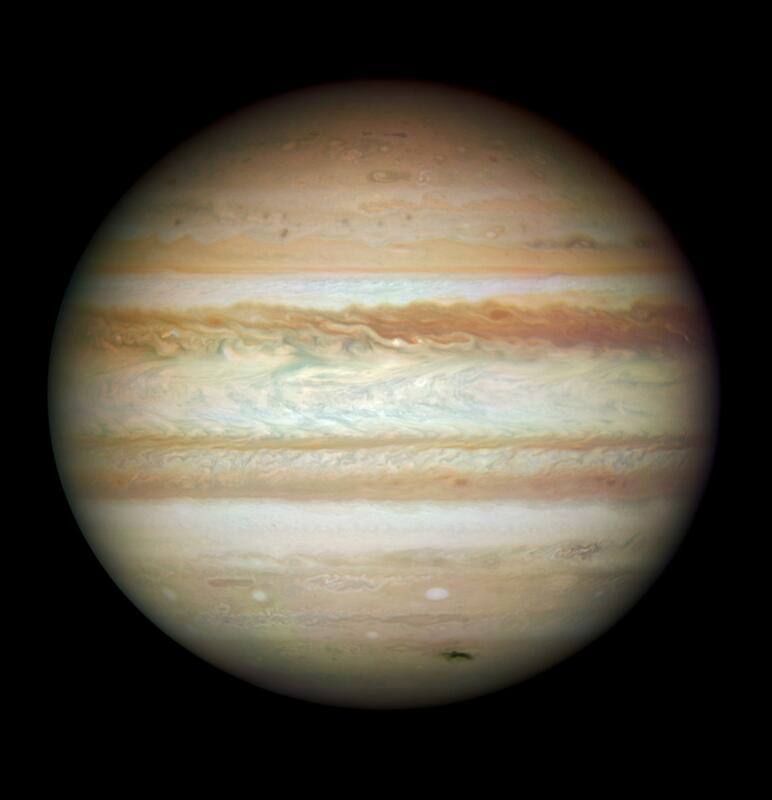 The tweet received a lot of positive responses from social media users, with many admiring Jupiter's beauty. "One of my favorite objects to look at in a telescope. Always wonderful to see it with such detail," one Twitter user commented on the image. "I’m slightly obsessed by Jupiter’s glorious visual beauty," another wrote. "Incredible pictures. It amazes me how #nasa and your gifted people produced the tech to take these pics!" one social media commented. This is not the first time that NASA's Juno spacecraft has captured stunning images of Jupiter. Back in December, the space agency also released photos of Oval BA, a massive storm that formed near the Great Red Spot. It has apparently been circulating for over a century. According to Slash Gear, the "striking blemish" on the planet's surface is around twice the width of Earth. "The storm reached its current size when three smaller spots collided and merged in the year 2000," NASA said in a statement. "The Great Red Spot, which is about twice as wide as Oval BA, may have formed from the same process centuries ago." NASA's Jet Propulsion Laboratory also revealed images of Jupiter's mesmerizing colorful clouds from the Juno spacecraft last year which caught the attention of many social media users. Twitter users had commented that they noticed several "creatures" within the vicinity of Jupiter, including a "dragon," "squid" and "dolphins." NASA pointed out dolphins "swimming" across the clouds in one image from the Juno spacecraft. Scientists Brian Swift and Seán Doran enhanced the photos, which were taken around 11,400 to 32,000 miles from the top of Jupiter's clouds on Oct. 29, 2018. What do you think of the stunning images taken of Jupiter? Share your thoughts in the comments below!